“Πάμε” πάλι για ενημέρωσή μας, ώστε να μην χάνουμε την… εικόνα! The “innocent satellite” was actually “the first stage of an intercontinental missile” Iran is developing in violation of international agreements, Prime Minister Benjamin Netanyahu stated. The TV footage shows the rocket becoming just a pinpoint of light in the darkened sky and not the moment of its failure. Jahromi’s comments that the problem developed in the launch’s third stage suggest something went wrong after the rocket pushed the satellite out of the Earth’s atmosphere. IDF’s new chief of staff takes helm, supports ‘force, discretion and determination’. INN – Today (Tuesday), Lt. Gen. Aviv Kohavi was appointed the 22nd Chief of the General Staff of the Israel Defense Forces. Earlier today he was awarded the rank of Lieutenant General in a ceremony led by Prime Minister and Minister of Defense, Binyamin Netanyahu. The main ceremony that included an honor guard for the 21st and 22nd Chiefs of the General Staff, was held at Camp Rabin (the Kirya). In attendance were Prime Minister and Defense Minister Binyamin Netanyahu, ministers, Knesset Members, the General Staff forum, family members, and others. Lt. Gen. Aviv Kohavi, who served previously as Deputy Chief of the General Staff, will succeed Lt. Gen. Gadi Eisenkot as Chief of the General Staff. Lt. Gen. Gadi Eisenkot served in this capacity for four years and is completing 40 years of service in the IDF. Lt. Gen. Gadi Eizenkot was born on May 16th, 1960 in Tiberias. He joined the Golani Brigade in 1978 and served in several command and combat roles from Squad Commander, Platoon Commander and Company Commander through serving as an Operations Officer, Golani Anti-Tank Company Commander, Commander of the 13th Battalion and Deputy Commander of the Brigade. 1986-1987- Operations Officer of the Golani Brigade. 1989- Awarded the rank of Lieutenant Colonel. 1992-1993- Commander of an Infantry Reserve Brigade. 1993- Awarded the rank of Colonel. 1994-1997- Commander of the Efraim Regional Brigade. 1997-1998- Commander of the Golani Brigade. 1999- Awarded the rank of Brigadier General. 1999-2001- Military secretary of the Prime Minister Ariel Sharon and Minister of Defense Ehud Barak during the withdrawal of the IDF from Lebanon and the beginning of the Second Intifada. 2001-2003- Commander of “Amud HaEsh” formation. Prepared the formation for the challenges of the IDF after its withdrawal from Lebanon. Led the investigation into the intelligence work during Operation “Defensive Shield” which led to improvements to the cooperation between the IDF and the ISA. 2003-2005- Commander of Judea and Samaria Division during the height of the effort to combat suicide bombers in Judea and Samaria and brought about a change in the operational employment concept and a reduction in harm to civilians. 2005- Awarded the rank of Major General. 2005-2006- Head of the Operations Directorate during the Second Lebanon War. 2066-2011- Commander of the Northern Command for five years during which he improved the preparedness of the command for the challenges that followed the Second Lebanon War, the readiness of the regular and reserve units and the routine activities of the IDF. 2011-2012- Project manager for General Staff affairs. Led several staff projects such as the creation of the IDF Depth Corps and management of General Staff exercises. Simultaneously studied for his M.A. 2013-2014- Deputy Chief of the General Staff. 2015-2019- the 21st Chief of the General Staff. Lt. Gen. Gadi Eisenkot holds five honors; the Operational Service Badge, the “Peace for the Galilee” War Ribbon, the Second Lebanon War Ribbon, the Operation “Protective Edge” Ribbon and the USA Legion of Merit. Lt. Gen. Gadi Eisenkot holds a Bachelor’s Degree in General History from Tel Aviv University, a Master’s Degree in Political Science from Haifa University and a Graduate diploma from the United States Army War College (Pennsylvania). Additionally, he is a graduate of the Command and Staff College. Lt. Gen. Gadi Eisenkot lives in Herzeliya, is married to Hannah and is the father of five children; G’, Yael, Rotem, Rosie and Guy. Lt. Gen. Aviv Kohavi was born on April 23rd, 1964, in Kiryat Bialik. In 1982, he joined the Paratroopers Brigade and served in several command and combat roles from Squad Commander, Platoon Commander and Company Commander through serving as a Battalion Operations Officer, Paratroopers Anti-Tank Company Commander, Brigade Operations Officer, Commander of the 101st Battalion, Commander of the Brigade Training Base, Deputy Commander of the Brigade and Commander of the Brigade. 1987-1988- Company Commander in the 890th Battalion of the Paratroopers Brigade. 1988-1989- Commander of the “Orev” Company of the Paratroopers Brigade. 1993- Awarded the rank of Lieutenant Colonel. 1993- Operations Officer of the Paratroopers Brigade. 1993-1994- Commander of the 101st Battalion of the Paratroopers Brigade. 1994-1996- Commander of the Paratroopers Brigade Training Base. 1998- Awarded the rank of Colonel. 1998-1999- Commander of the Eastern Division in the Lebanon Liaison Unit. 1999-2001- Commander of the 5551st Brigade. 2001-2003- Commander of the Paratroopers Brigade. Led the Brigade during Operation “Defensive Shield”, during the seizure of Balata refugee camp in Nablus in February 2002, as well as during other operations across Judea and Samaria against the Palestinian terror infrastructure including the seizure of Bethlehem and the siege on the Church of the Nativity. 2003- Awarded the rank of Brigadier General. 2003-2004- Commander of the 98th Division. 2004-2006- Commander of the Gaza Division. Commanded the division during the disengagement from Gaza and led several operation against the Palestinian terror infrastructure in the Gaza Strip, including Operation “Tsa’ad Mizrahi”, with the purpose of ceasing the launching of rockets and firing of mortars on Israeli communities and Operation “Summer Rains” which included the first time IDF troops entered Gaza since the completion of the disengagement a year earlier. 2007-2010- Head of the Operations Division during Operation “Cast Lead” and was amongst its planners. During this time he led a fundamental shift in the IDF’s concept of border defense, air defense and Home Front Command. 2010- Awarded the rank of Major General. 2010-2014- Head of the Military Intelligence Directorate. Led the directorate during Operation “Pillar of Defense”, Operation “Full Disclosure” and Operation “Protective Edge”. The Directorate, under his leadership, developed improved methods of intelligence gathering and research, while strengthening the Military Intelligence Directorate’s offensive cyber-warfare unit. Additionally, in 2012, he expanded the Special Operations Array from a Platoon to a Brigade. 2014-2017- Commander of the Northern Command. Worked extensively on developing the defensive elements including the defensive barrier on the Syrian and Lebanese borders, the corridors and the intelligence gathering. Built a Fire Control Center which enabled the expansion of attacks on hostile targets. Initiated Operation “Good Neighbor” on the Syrian border- the Israeli humanitarian response to the civil war. 2017-2018- Deputy Chief of the General Staff. Worked extensively to realize multi-year plan “Gideon” and supervised General Staff projects. Lt. Gen. Aviv Kohavi holds three honors; the Operational Service Badge, the Second Lebanon War Ribbon and the Operation “Protective Edge” Ribbon. Lt. Gen. Aviv Kohavi, Graduate of Command and Staff Course, holds a Bachelor’s Degree in Philosophy from the Hebrew University of Jerusalem, a Master’s Degree in International Relations from Harvard University and an additional Master’s Degree in Public Administration from John Hopkins University. Lt. Gen. Aviv Kohavi is married to Yael and a father of three daughters; Maya, Noam and Amit. Lt. Gen. Aviv Kochavi has become the 22nd chief of staff of the Israel Defense Forces (IDF). He took charge of the Israeli military Tuesday at a ceremony at defense headquarters in Tel Aviv. He replaces Gadi Eisenkot, who had served at the helm since February 2015. In an address which he delivered at the ceremony, Kochavi, who received the rank of lieutenant general from Prime Minister and Defense Minister Benjamin Netanyahu earlier in the day, spoke of the awesome merit and responsibility in leading the military of the Jewish state. “The national home is a wonderful creation like no other in the history of nations, but it is planted in a region that, for religious and national reasons, is trying to reject [Israel]. “To defend our national home, we need a sobered outlook, a fit military force, the willingness to use that force, discretion and determination,” Kochavi said. 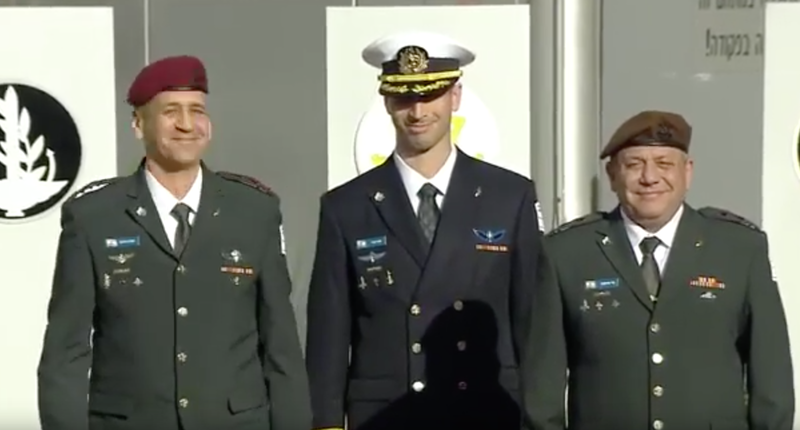 Eisenkot also addressed the handover ceremony, summing up his own military career. “At the end of 40 years of service and four years as the IDF chief, I conclude a path that became my life’s mission,” he said. In an interview with the New York Times published Sunday, Eisenkot said that Israel had “struck thousands of targets without claiming responsibility or asking for credit” in a campaign to thwart the growing Iranian presence in Syria. On the other hand, Netanyahu said that Eisenkot contributed towards improving ties between Israel and Muslim states by meeting with military leaders from such countries. New IDF Chief is a vegetarian! JTA – Israel s new military chief of staff is a vegetarian former paratrooper who holds master s degrees from Harvard and Johns Hopkins. Lt.-Gen. Aviv Kochavi, 54, assumed his new post during a handover ceremony at Israel Defense Forces headquarters in Tel Aviv on Tuesday. He succeeds Lt.-Gen. Gadi Eisenkot, 58, who served four years and in the IDF for 40 years. Kochavi, the deputy IDF chief, also headed the Military Intelligence Directorate and the Northern Command. He was decorated for his service during the Second Lebanon War in 2006 and Operation Protective Edge in Gaza in 2014. At the ceremony, he recalled being sworn in at the Western Wall and vowing at the time to dedicate all of my efforts to defending the homeland. Now, as the head of the General Staff, while I have national security and the good of the state before me, I make a new vow. There is much work to be done, good luck to us all, he said. Following his swearing-in, he and Eisenkot visited the Mount Herzl national military cemetery and memorial, and the Yad Vashem Holocaust memorial and museum, as is traditional. They later met with President Reuven Rivlin at his residence in Jerusalem. Kochavi holds a master s in public administration from Harvard and another in international relations from Johns Hopkins. Haaretz reported that he is the first vegetarian chief of staff. U.S. and Qatar Sign MOU Reaffirming Qatar’s Commitment to Supporting U.S. Military Activities at Al Udeid Air Base. The U.S. Department of Defense (DOD) and the Ministry of Defense of the State of Qatar signed a Memorandum of Understanding (MOU) concerning Qatar’s support of DOD activities at Al Udeid Air Base (AUAB) during the second U.S.-Qatar Strategic Dialogue in Doha, Qatar Jan. 13. 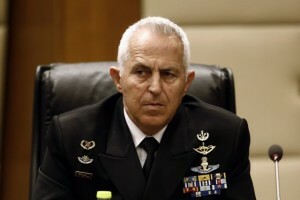 Maj.-Gen.Aviv Kochavi to begin role as Chief of Staff on Tuesday. On Tuesday, Maj.-Gen. Aviv Kochavi will enter the 14th floor of the Kirya in Tel Aviv to take over as the IDF top officer from Chief of Staff Lt.-Gen. Gadi Eisenkot, who will be exiting the building for the last time. Kochavi will assume the post of Israel’s 22nd Chief of Staff during times that are turbulent, both militarily and politically. Militarily, the IDF is contending with Iran on its northern borders while Hamas continues to push Gazans towards the security fence in the south, and the atmosphere in the West Bank remains tense. Israel’s strongest ally, the United States, is withdrawing its forces from Syria, and several high-ranking officials and generals have resigned in protest. Those men include: Secretary of Defense James Mattis; the former envoy for the global coalition to defeat ISIS Brett McGurk; and Anthony Zinni, who had been tasked with resolving the Qatar dispute. Mattis has been replaced by Patrick Shanahan, a Boeing executive with no military experience and at the end of 2019, Chairman of the Joint Chiefs of Staff General Joseph Dunford will be replaced by Gen. Mark Milley, who has an extensive military background, especially in the Middle East. During his term, Eisenkot took credit for “thousands” of airstrikes in war-torn Syria over the past two years, dropping many millions of shekels of munitions on Iranian and Hezbollah targets. He had clear partners in Washington, men who spoke his language and understood the urgency for Israel to defend itself. But, with the US pull-out from Syria and a change of the guard in Washington, Israel’s pillar of stability is gone. Countries like Russia, Iran and Turkey are filling the void. They do not care for Israel’s interests. Politically, Israel is gearing up for elections on April 9 and, critical for Kochavi, Prime Minister Benjamin Netanyahu is also acting as Defense Minister. Despite being appointed as chief of staff, Kochavi was not the Prime Minister’s first pick. Rumor has it that Netanyahu preferred Maj.-Gen. Eyal Zamir for the top position, and scolded then-defense minister Avigdor Liberman when he was told that Kochavi would be recommended for the role. But, that’s not what is important for the chief of staff. 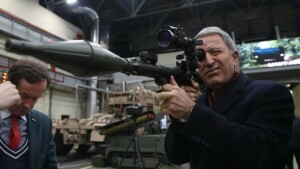 A Defense Minister preoccupied with getting reelected as well as fighting three corruption investigations is more of concern. However, it is Kochavi who will have the final say on defense matters. During election periods, the security cabinet is almost completely paralyzed. Members are preoccupied with getting votes rather than focusing on national security. Politicians might also use the army as a tool, but it will be up to Kochavi to stand up to any political pressure. Nevertheless, the Middle East is a turbulent place. And with the smallest miscalculation, the tensions on the northern border as well as with the Gaza Strip may explode into war. No one wants a war during elections. Dead soldiers don’t get votes in Israel. But Kochavi didn’t make his way to the top of the military ladder by chance. Enlisting in 1982, he will be the first chief of staff to have not taken part in any conventional war with Israel’s enemies, instead fighting Hamas and Hezbollah terrorists in guerrilla warfare where he earned his reputation of changing the rules of the game to the IDF’s advantage. Kochavi distinguished himself during the years of the Second Intifada, when he served as the commander of the Paratroopers Brigade and developed the technique of breaking through walls with a 5kg. hammer to cross between homes, instead of through alleyways in crowded refugee camps, saving soldiers from being targeted by snipers. This tactic, as well as other urban warfare methods he developed, were later copied by the US military in Iraq and Afghanistan. He also served as the head of the Gaza Division, commanding soldiers against Palestinian terrorist cells in the coastal enclave, as well as overseeing Israel’s 2005 unilateral disengagement before being promoted to the rank of major general and head of the Military Intelligence Directorate in 2007. In that role, he served in the first two conflicts in Gaza – Operation Cast Lead in 2008, and Operation Pillar of Defense in 2012. In 2015, he served as the head of the Northern Command before becoming deputy chief of staff in 2017. On Tuesday, Kochavi will take up his latest and last position in the IDF, a role which will cap the general’s career in the country’s history books. In the first half of the 20th century, excessive nationalism, radical ideologies and misguided isolationism plunged Europe into two major wars that set half the world on fire. Today, as these trends are again on the rise, it is instructive to recall how an idealistic pacifist came to the conclusion that a collective defence pact between like-minded countries was the only way to keep the peace. When 12 foreign ministers from Canada, the United States and ten Western European countries met in Washington on 4 April 1949 to sign a mutual defence treaty, not all observers grasped the significance of the event. The Washington Post quipped that the ceremony may turn out to be “more spectacular than the act itself”. Ironically, the State Department band, paying homage to the First Lady, Bess Truman, played a medley from the musical “Porgy and Bess” that featured “It ain’t necessarily so” and “I got plenty of nothin’”. Beyond the headlines, the new defence pact had yet another prominent supporter: Sir Norman Angell (1872-1967), economist, journalist, peace activist, bestselling author, and Nobel Peace Prize Laureate of 1933. His support of a defence community of Western democracies to contain the Soviet Union marked the end of a lifelong journey dedicated to the prevention of war by non-military means. Angell’s political life – during which he transformed from a idealistic pacifist to a believer in collective security schemes and, finally, to a supporter of a transatlantic collective defence alliance – is, in many ways, a mirror of the turbulent first half of the 20th century. Having witnessed two world wars and seen the mayhem inflicted by excessive nationalism and totalitarian ideologies, the world’s best known peace activist realised that an alliance between the Western democracies was the best model on offer. Ralph Norman Angell (Lane), a polyglot Brit who had also lived in France and the United States, achieved fame with his book “The Great Illusion”, published in 1911. In this work, which later earned him the Nobel Peace Prize, he argued that the costs of wars had become so high as to outweigh any prospective gains. Nations, he argued, had become too economically interdependent to make war between them a profitable exercise. Angell’s arguments received enormous attention. As Europe’s major powers appeared to be inching ever closer to war, Angell seemed to demonstrate by way of rational economic argument why that major war would be folly. “The Great Illusion” was translated into more than 15 languages and sold almost two million copies. W. M. Hughes, the Acting Premier of Australia, called it “a glorious book to read … pregnant with the brightest promise to the future of civilized man.” At major universities, enthusiastic ‘Angellists’ spread the message of the end of war. Lord Esher, President of the Imperial Defence Committee, held the opinion that war “becomes every day more difficult and improbable.” He also was convinced that Germany “is as receptive as Great Britain to the doctrine of Norman Angell.” This was clearly at odds with the political realities in Germany – as Angell’s turbulent speaking tour through that country in 1913 should have revealed – but many British liberals felt that warnings of German militarism were exaggerated. Angell’s thesis was far from uncontested. Alfred Thayer Mahan, the United States’ leading thinker on maritime strategy, criticised Angell for having ignored non-quantifiable factors. He agreed with Angell about the questionable cost-benefit ratio of major wars but warned that wars did not originate just for economic reasons: “Nations are under no illusion as to the unprofitableness of war in itself; but they recognise that different views of right and wrong in international transactions may provoke collision, against which the only safeguard is armament.” Mahan agreed with Angell that the disruption of the international economic system caused by a major war would also strike back at the aggressor. Yet even this would not mean the end of war, for “… ambition, self-respect, resentment of injustice, sympathy with the oppressed, hatred of oppression” were more than enough reasons why war would not disappear. “The Great Illusion” had been Angell’s attempt to use rational arguments in his struggle against the widespread fatalism about an ‘inevitable’ war with Germany. Yet his powerful prose could not hide the fact that his arguments hardly amounted to more than an interesting compilation of facts and reflections. With respect to Anglo-German relations, Angell made too much of the cultural similarities between the two nations, underestimating their differing strategic interests. In the eyes of many observers, the outbreak of the First World War thoroughly discredited Angell and his followers. Economic arguments had not prevented this massive conflagration from occurring. However, the unprecedented devastation caused by that war also affirmed Angell’s thesis that war no longer made economic sense. Consequently, Angell’s attempts to deromanticise war and his plea for enlightened statecraft did not go out of fashion. He continued his struggle for international peace and détente between the major powers, and remained an international celebrity – by the 1930s, “The Great Illusion” had been published in six editions, and Angell had maintained a tremendous literary output. He was knighted and, in 1933, received the Nobel Peace Prize. However, the 1930s provided some hard lessons for Angell and his faith in human rationality. The growth of fascism and communism worried him. He also realised that by appeasing those who were prepared to use military force to achieve their aims, the European democracies were effectively lowering the cost of aggression. Against this background, Angell’s political thought went through an important evolution. He no longer dwelled on the war-preventing power of economic interdependence. Instead, he devoted more attention to the principle of collective security – a system that included the potential use of force against a violator. In this way, Angell changed from being an idealistic pacifist to a realistic pacifist. He warned against Hitler’s belligerence and he supported Britain’s rearmament. In 1914, he had hastily founded a “Neutrality League” to keep Britain out of the war. At the beginning of the Second World War, by contrast, he supported his country’s cause. Angell was keenly aware that Britain’s victory in the Second World War was largely the result of the United States’ engagement. Consequently, in the immediate post-war era, he lashed out against the anti-Americanism that was growing within Britain’s political left, but also against the rising isolationism in the United States. With the Soviet Union emerging as another totalitarian challenge to the Western democracies, Angell considered the unity of the English-speaking countries a prerequisite for peace in Europe. For this reason, when the negotiations on a collective defence treaty between North America and Europe commenced, he supported the project. A North Atlantic Security Pact, he argued a few weeks before the signing of the Washington Treaty, could act as a bulwark against Soviet expansionism. Had Germany known the strength of the alliance that would be mobilised against it, he argued, the two world wars probably would not have occurred. Similarly, if the Soviet Union knew about the effective resistance it would face, a third world war would probably be avoided. This unabashed argument for peace through military deterrence was a far cry from his former pacifist beliefs. Angell’s preference for an inclusive system of collective security, which he had championed after the First World War, remained unchanged. Yet, just as Germany could not be included in such a system in the 1930s, he saw little hope in incorporating the Soviet Union into such an arrangement in the late 1940s. Such a system, he believed, could only work between like-minded powers. By bringing together the major democracies, the emerging transatlantic defence community came closer to his ideal of a system of war prevention. He still held on to his view about the devastating consequences of modern wars but his once optimistic belief in the intellectual progress of mankind had been replaced by a profound scepticism. Norman Angell may forever be remembered for something he never actually said: that war had become impossible. Yet, just as scholars are now considering him an early pioneer of international relations theory, Angell should also be remembered as a man who managed to acknowledge that preserving peace in a changing world means leaving outdated dogmas behind. Michael Rühle heads the Energy Security Section of NATO’s Emerging Security Challenges Division. Previously, he served as a speechwriter for six NATO Secretaries General. The views expressed are his own. “The accumulation of recent attacks proves that we are determined more than ever to take action against Iran in Syria,” said Prime Minister Benjamin Netanyahu on Monday. New satellite images of an Iranian weapons storehouse at the Damascus International Airport showed the complete destruction of the site following Israeli airstrikes on Friday. Released by the Israeli satellite company ImageSat International, one image taken before the strikes showed a structure that measured 20 by 50 meters and was later missing, leaving three craters where the compound once stood. According to ImageSat, the structure was likely used as a missile storehouse, including the Fajr-5, which can be launched from a mobile platform and has a reported range of 75 kilometers. On Sunday, Prime Minister Benjamin Netanyahu confirmed reports that the airstrike was carried out by the Israeli Air Force on Friday, saying that Israel has carried out hundreds of attacks against Iranian and Hezbollah targets. “The accumulation of recent attacks proves that we are determined more than ever to take action against Iran in Syria,” Netanyahu said at the start of the weekly cabinet meeting. On Monday, Iranian Foreign Ministry Spokesman Bahram Qasemi denied that Tehran had any military bases or military presence in Syria, denying claims made by Netanyahu and former IDF chief of staff Lt.-Gen. (res.) Gadi Eisenkot that Israel has struck hundreds of Iranian targets in Syria over the past two years. On Tuesday morning, at the ceremony marking the appointment of incoming IDF Chief of Staff Aviv Kochavi, Netanyahu warned Tehran to leave Syria. “I’m telling you, get out of there fast. We won’t stop attacking,” he said. Syria’s SANA state news agency said that Israeli warplanes fired a number of missiles towards the Damascus area on Friday, triggering Syrian air defenses that shot most of them down. In late December, an Israeli strike against another Iranian weapons storehouse outside Damascus was completely destroyed. The storehouse also supposedly held Fajr-5 missiles in the Syrian regime’s 4th Division camp in the Al-Muna area. In the letter, a top Finance Ministry official writes that companies working in Iran can still bid for the Jerusalem light rail project. Prime Minister Benjamin Netanyahu is often perceived as the person leading the battle against Iran and its pursuit of nuclear weapons. Over the years, Netanyahu’s efforts have included pushing Western countries to impose tough economic sanctions on Iran and to cut business ties with Iranian companies. Apparently though this does not apply to doing business in Israel. According to a letter written by a high-level government official in the Finance Ministry, foreign companies that do business in Iran are not prevented from competing for major infrastructure projects in the State of Israel. The letter was sent in recent days from the office of the Accountant General at the Finance Ministry and the chairman of the government’s Tender Committee to construction companies – Israeli and foreign – that are competing in a tender to construct a new light-rail line in Jerusalem. The letter was written in response to questions from some of the foreign companies competing in the tender, whether their involvement in projects in Iran would disqualify them from competing for the Jerusalem light-rail contract. The companies are bidding for a deal to construct the Green Line for Jerusalem’s light rail as well as the extension of the existing Red Line. 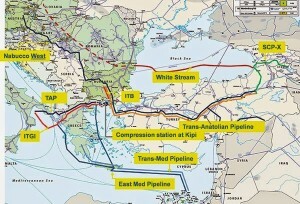 The deals are estimated to reach approximately $3.5 billion. In August, as new US sanctions took effect on Iran, President Donald Trump said that companies doing business with Iran will be barred from the United States. “These are the most biting sanctions ever imposed, and in November they ratchet up to yet another level. Anyone doing business with Iran will NOT be doing business with the United States. I am asking for WORLD PEACE, nothing less!” Trump tweeted at the time. The government’s answer has direct impact on CRRC, a state-owned Chinese corporation that is competing for the contract to supply the locomotives for the Jerusalem light rail. Last May, for example, CRRC signed a massive multi-billion dollar contract to construct 450 subway wagons for Iran. Allowing CRRC to compete in the tender though could contravene the “Law on the Struggle against Iran’s Nuclear Program” which was passed in 2012 with the objective of imposing sanctions on individuals and corporations that assist Iran in promoting its nuclear program. The government’s answer as stated above clears the way for companies like CRRC to continue doing business in Iran while at the same time competing for massive infrastructure tenders in Israel. “ΚΤΥΠΕΙΣΤΕ”, ΜΕ ΤΟΝ ΠΑΡΑΠΑΝΩ ΤΙΤΛΟ , και ΔΙΑΒΑΣΤΕ ΤΙΣ ΠΡΟΚΛΗΣΕΙΣ ΓΙΑ ΤΗΝ ΔΚΣΗ ΤΟΥ Κου ΚΟΤΣΑΒΙ! (Ιράν, Γάζα, κλπ). Yunanistan’da bugün Savunma Bakanlığı görevini devralan Evangelos Apostolakis, devir teslim töreninde gerçekleştirdiği konuşmasında, “Ege’nin karşı kıyısına mütekabiliyet mesajı gönderiyorum” dedi. Yunanistan‘da Panos Kammenos, Savunma Bakanlığı görevini, bugüne kadar Genelkurmay Başkanlığı görevini yürüten Evangelos Apostolakis‘e devretti. Devir teslim töreninde konuşan yeni Savunma Bakanı Apostolakis, Türkiye’ye barış ve işbirliği mesajı gönderdi. Çiçeği burnunda Bakan “Ege’nin karşı kıyısına mütekabiliyet mesajı gönderiyorum. Çatışma yolu da var ama işbirliği yolu da var. Biz işbirliği yoluna sadığız. Komşularımıza şunu hatırlatmak isterim. Nerede işbirliği olduysa orada refah ortamı doğmuştur” dedi. Öte yandan, ilk kez bir Savunma Bakanının devir teslim töreni için iki Mirage 2000 uçağı havalandı. Yunan basını, savaş uçaklarının tören için havalanmasını, eski Bakan Kammenos’un “gövde gösterisi” olarak nitelendirdi. Kammenos, Makedonya ile “isim anlaşması” sebebiyle iş birliğine devam edemeyeceklerini belirterek, partisinin hükümetten ayrılacağını açıklamış ve Savunma Bakanlığı görevinden istifa etmişti. Türkiye’nin Doğu Akdeniz’de bir ‘oldu bitti’ye izin vermeyeceğini ısrarla vurgulamasına rağmen bölgedeki kimi odaklar kendi çıkarları doğrultusunda adımlar atmaya devam ediyor. Son olarak Yunanistan, Mısır, Güney Kıbrıs Rum Yönetimi, İtalya, İsrail, Ürdün ve Filistin tarafından Doğu Akdeniz Gaz Forumu’nun kurulması gözleri bir kez daha bölgeye çevirdi. Enerji Ekonomisi Derneği Başkanı Prof. Dr. Kumbaroğlu’na göre bu adıma karşılık ‘Kuzeydoğu Akdeniz Gaz Forumu’nu kurmalı. Türkiye bir yandan Suriye’deki terör bölgelerine düzenlenecek operasyon için hem diplomasi kanallarını kullanıp, hem de sahadaki çalışmalarını sürdürürken, Doğu Akdeniz‘de de önemli gelişmeler yaşanıyor. Bölgede Türkiye aleyhinde adımlar atan Yunanistan ve Güney Kıbrıs Rum Yönetimi, saha çalışmalarındaki adımlarını bir üst noktaya taşıyarak yeni bir gaz forumunun kurulmasına destek oldu. Bu kapsamda Yunanistan, Mısır, Güney Kıbrıs, İtalya, İsrail, Ürdün ve Filistin tarafından Doğu Akdeniz Gaz Forumu’nun kurulduğu duyuruldu. Söz konusu ülkelerin enerji bakanları bir araya gelerek birlik için ilk imzaları attı. Enerji Ekonomisi Derneği Başkanı Prof. Dr. Gürkan Kumbaroğlu, yenisafak.com’a yaptığı açıklama, bu girişimin Doğu Akdeniz’i ikiye bölme anlamını taşıdığını anlattı. Söz konusu birliğin dışında kalan Türkiye, Kuzey Kıbrıs Türk Yönetimi, Lübnan ve Suriye’nin ‘Kuzeydoğu Akdeniz’ paydasında buluşabileceğine işaret eden Kumbaroğlu, “Suriye karasularında petrol ve gaz arama çıkarma haklarını elinde bulunduran Rusya da bu paydada Suriye adına yerini alır” şeklinde konuştu. “Karşı tarafın attığı adıma Türkiye de kendi imkan ve kabiliyetleri ölçüsünde mutlaka yanıt vermeli. Bu kapsamda, Kuzeydoğu Akdeniz Gaz Forumu’nun kurulmasına Türkiye öncülük edebilir. Bu tür bir oluşum merkezi de KKTC olabilir. Milli Savunma Bakanı Hulusi Akar, Belarus Savunma Sanayi Komitesi Başkanı Roman Aleksandrovich Golovchenko ile görüştü. Akar, resmi ziyaret kapsamında geldiği başkent Minsk’te, Belarus Savunma Bakanı Korgeneral Andrey Ravkov ile görüşmesinin ardından Silahlı Kuvvetleri Merkez Orduevi’nden ayrıldı. Bazı savunma sanayi şirketlerinin kentteki üretim merkezlerini gezen Bakan Akar, daha sonra Belarus Savunma Sanayi Komitesi Başkanı Roman Aleksandrovich Golovchenko ile bir araya geldi. 1. Ειλικρινά σας ευχαριστούμε Τούρκοι που μας απαντάτε, τόσο σύντομα, για την Φ/Γ σας “Turgut Reis” και την πρόσφατη προσάραξή της! Διαβάστε την ε/φ “Yeni Şafak“, της 16-01-2019. (1η σελίδα / “Πάνω Δεξιά”). – Πότε έγινε το συμβάν; Μετά που έφυγε ο ΡΤΕ ή πριν πάει εκεί, όπου ανέφερε πως πλέον… “αυτοϊκανοποιείστε”, αχαχαχαχαχαχα, σε ποσοστό 68% πιά, στον τομέα της αμυντικής σας βιομηχανίας, από το 20% που ήταν το 1976, κλπ, κλπ, κλπ. Όχι, πως έχει αξία, αλλά θα θέλαμε να ξέρουμε αν ο ΠτΔ σας είδε το… θέαμα!.. 2. Kemalist Cumhuriyet’in FETÖ’cü Cumhuriyet’ten ne farkı var? Türkiye, etrafını sarmayalayıp kendisini yutmaya çalışan krizler yumağının ortasında ciddi bir mücadele veriyor. Bir taraftan terör örgütleriyle amansız bir mücadele yürütülürken, diğer taraftan ‘stratejik müttefikimiz’ de elinden geleni ardına koymuyor. Kâh twitleriyle saldırıyor, kâh doğrudan ekonomimizi hedef alıyor. Diğer taraftan Edirne’den Kars’a kadar hudut dahilinde FETÖ, DAEŞ, DHKP-C, PKK ile mücadele veriliyor. Hudut dışında Mehmetçik, Fırat Kalkanı ve Zeytin Dalı operasyonlarıyla vatan müdafaasını layıkıyla yapıyor. Türkiye’nin Suriye’den Yemen ve tâ Libya’ya kadar mazlumlara kol kanat geren politikalarından rahatsız olan devlet ya da devletçiklere karşı da amansız bir diplomatik faaliyet yürütülüyor. Aynı süreçte mahkemeler çok önemli görevler ifâ etti! İstisnalar kaideyi bozmaz; FETÖ’cü hakim-savcıların katlettiği hukuku; memleketin hakimleri, savcıları yerine koydu. Bu hakim ve savcıların kararlarıyla şekillenen davalardan biri Cumhuriyet Vakfıve Cumhuriyet gazetesi davasıydı. “Biz FETÖ’yü herkesten önce biliyorduk” familyasının yaygın propagandasının aksine, tam da memleketin FETÖ tahakkümünden kurtulmaya başladığı günlerde girmişti Kemalistlerin Cumhuriyet gazetesi FETÖ kontrolüne… 2014’ten, 2015’ten bahsediyoruz. İşte tam da o günlerde Can Dündar’ı, Murat Sabuncu’su, Tarafve Zaman’vari Cumhuriyet’lerini çıkarırken, doğru dürüst itiraz eden bir ses bile duyamadık. 2007’de ‘Şeriat geliyor’ vaveylası üzerinden “Tehlikenin farkında mısınız?” diye sirenler çaldıran zevat, Pensilvanya’daki hocaefendilerinin hizmetinde çok memnunlardı da anayasal düzene bağlı hakim-savcılar düzenlerini bozdu. Samimi, dine, millete ve memlekete bir karşıtlığı olmayan Kemalistleri tenzih ediyorum; sakın yanlış anlaşılmasın ama… Bu kadar nankörlük en nankör kediye bile merhamet okutur. FETÖ oyununu bozan hükümet olmasa ellerindeki bir gazeteye sahip çıkamayan ‘Kemalist’ Cumhuriyet ekibi, halen kelimenin tam anlamıyla maval okuyor. FETÖ’nün gazeteyi sözüm ona terk ettiği gün nasıl bir yayıncılık benimsenmişse halen aynı mantıkla yayın yapılıyor. FETÖ’cü ekibin kaldığı yerden yalana, çamura, ‘saray edebiyatı’na aynen devam ediyorlar. Amerikan FOX’un spikerleri İsmail Küçükkaya’ları, Fatih Portakal’ları parlatıp millete ve seçilmiş liderini ‘ayağından ters asılmak’la tehdit eden Metin Akpınar’lara, Müjdat Gezen’lere sahip çıkıyorlar. Amerikancı FOX’tan bahsetmişken; Açık Toplum Vakıflarıyla, George Soros ile ilişkileri sağır sultanların malumu Osman Kavala’ya hafiften bir eleştiri yapmak ise yasak. Yanlış anlamayın Kemalistlerin Cumhuriyet’inden bahsediyoruz. Son yaşanan rezalet ise herkesin malûmu… Işıl Özgentürk diye bir kadın, ‘Türbanın ilk kez Sümerlerde, tapınak fahişeleri tarafından kullanıldığı’ hezeyanı üzerinden bir yazı kaleme alıyor; Cumhuriyet’i kökenlerine döndürmekle iftihar eden Aykut Küçükkaya da bunu hiç âr etmeden basıyor. ← ΕΝ ΟΨΕΙ ΤΗΣ ΨΗΦΟΥ ΕΜΠΙΣΤΟΣΥΝΗΣ, ΠΟΥ ΖΗΤΗΣΕ Ο Π-Θ ΤΗΣ Κ-Β ΤΩΝ… “ΣΥΡΙΖΑΝΕΛ”!..